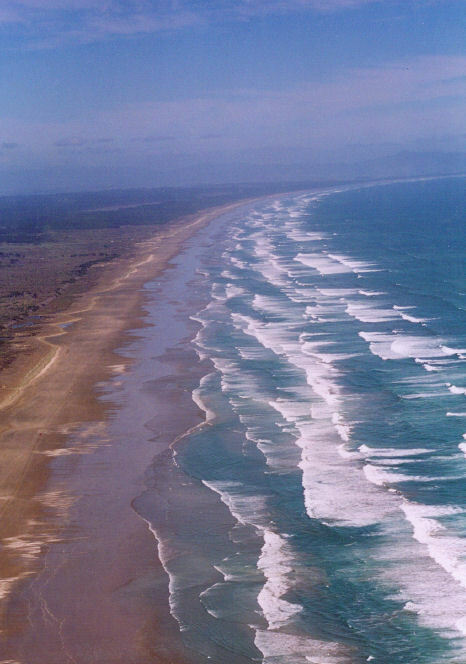 Te Oneroa a Tōhē or Ninety Mile Beach is a taonga to Te Hiku o Te Ika Iwi. It is of the utmost historical, cultural, spiritual and physical importance to the Iwi. Not only is it a vital resource for food gathering, and an important transport route, it contains Te Ara Wairua, a spiritual pathway between the living and the dead. All Te Hiku Iwi have specific kaitiaki responsibilities associated with Te Oneroa-a-Tōhē. The settlement legislation will create the Te Oneroa a Tōhē Board to manage the Ninety Mile Beach. 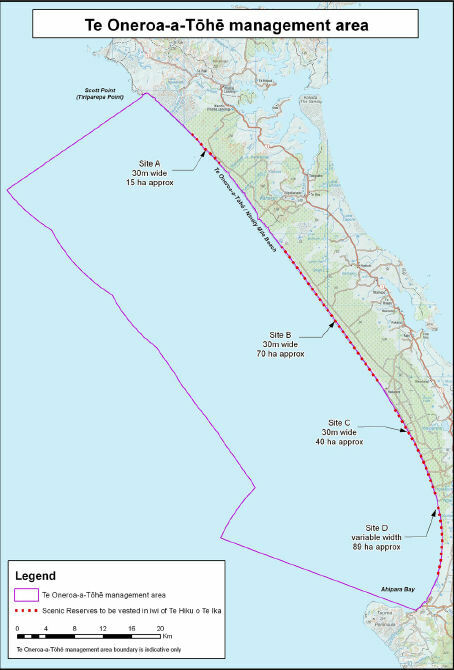 The Board will provide governance and direction in order to promote the use, development and protection of the Te Oneroa-a-Tōhē/Ninety Mile Beach management area and its resources in a manner which ensures the environmental, economic, social, spiritual and cultural wellbeing for present and future generations. The Board will be responsible for developing a Beach Management Plan. It will publicly notify the plan and seek submissions on it. The Plan will be recognised and provided for in the next revisions of the relevant Regional Policy Statement, Regional Plan, District Plan, and other relevant planning documents. The Board will be made up of 50% Te Hiku Iwi members, including Te Rarawa, and 50% local authority members. It will be chaired by Iwi and make decisions by a 70% majority. It will act as a permanent joint committee between Iwi, Northland Regional Council and Far North District Council. There will be no restrictions on public access for people using the beach except as they currently apply. The Board will consult with communities through the Beach Management Plan regarding any changes to beach access (e.g. by changing access points and reducing environmental damage on and to the beach). The feedback from this consultation will influence the plan which the Board will then implement. The Iwi members of the Board will appoint up to half of the hearing panel for consent applications within the beach management area. The Crown is providing a one-off contribution of $550,000 to Te Hiku Iwi to install interpretative signs, raise pouwhenua and fund regeneration activities along the Beach. The Crown is also providing a one-off contribution of $400,000 to the Board. While the Board is responsible for the management of the beach, Te Hiku Iwi continue to assert they are customary owners of Te Oneroa-a-Tōhē. This redress will not affect the ability of Te Hiku o Te Ika Iwi to make applications for recognition of protected customary rights or of customary marine title under the Marine and Coastal Area (Takutai Moana) Act 2011.